So, I am a firm believer in enjoying fudge year-round. Who says it has to be just a holiday food? Not me! Some of my favorite fudge recipes are really just perfect for summer and this Strawberry Daiquiri Fudge just joined the lineup. I put all of the essential strawberry daiquiri flavors into this fudge and you can taste each and every one – it’s just SO good! 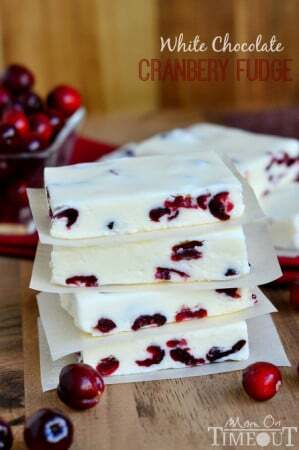 Fresh lime zest and strawberry jam are the key ingredients to this fudge. I decided to go the traditional route with this fudge because I wanted a super soft and creamy texture. You will need a candy thermometer, so if you don’t have one already, go NOW! 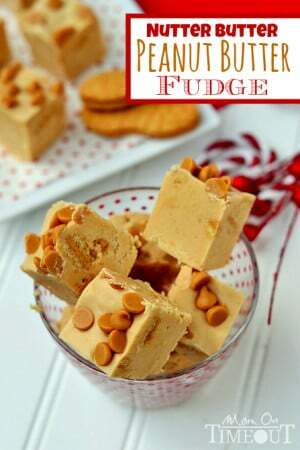 This fudge is totally worth it. 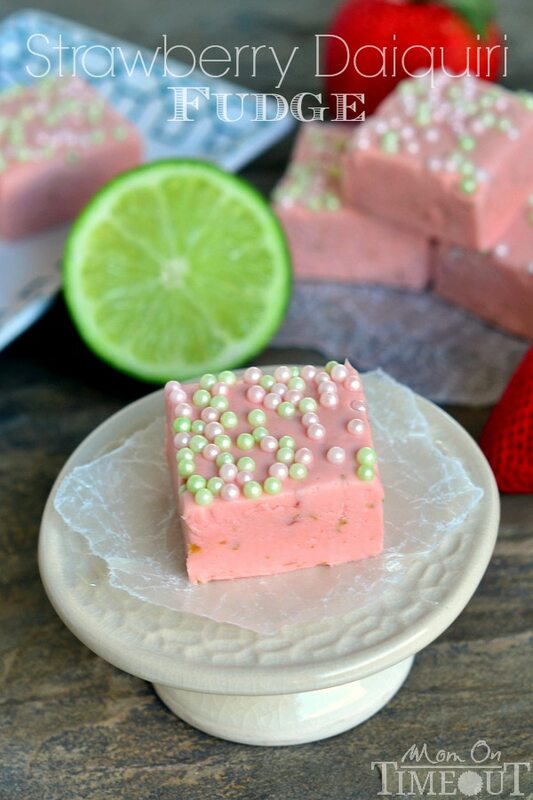 This remarkable strawberry fudge is speckled with fresh lime zest for a truly party-worthy treat. Good the first day, great the second, this fudge reaches it’s height of flavor on it’s third day. A great candy to make in advance! 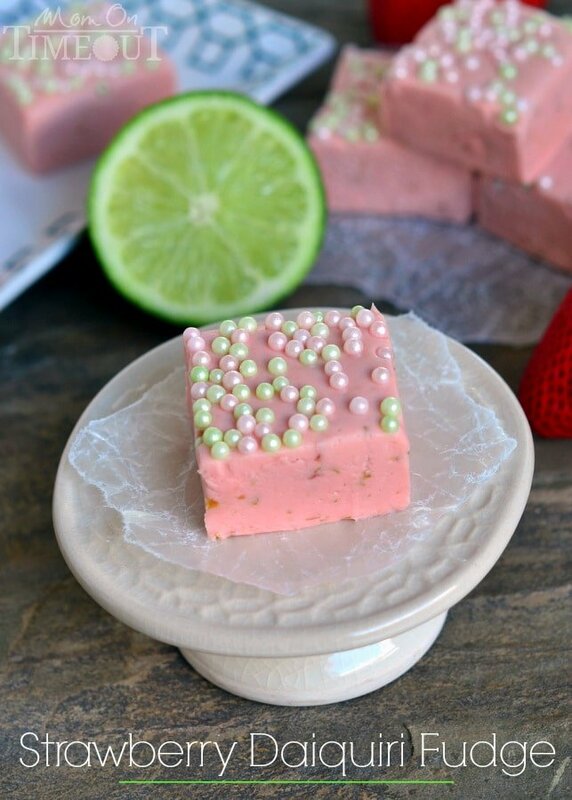 I topped the fudge this these pretty pink and green sugar pearls – totally optional but they do look pretty 🙂 Fresh lime zest would also look amazing! 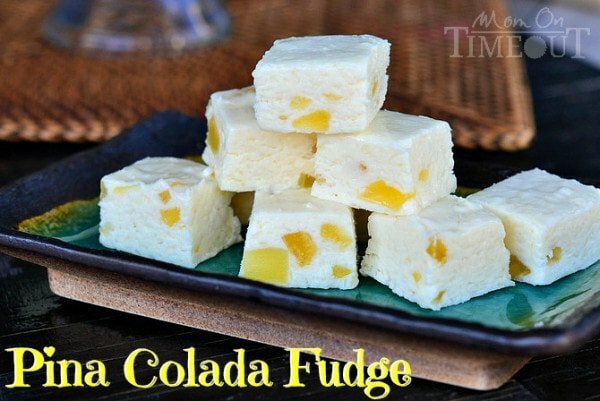 My favorite cocktail in fudge form - somebody hold me! 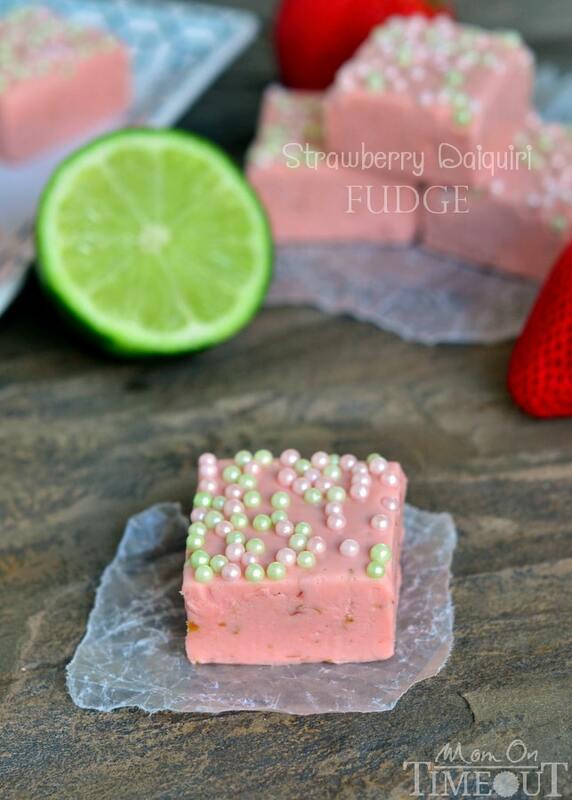 This Strawberry Daiquiri Fudge is perfect for your next party - so delicious and seriously impressive! Combine sugar, sour cream, strawberry jam, butter, salt and the zest of one lime in a heavy 2 qt saucepan. Remove from heat and stir in chocolate chips until fully melted. The finer the chips have been chopped, the quicker they will melt. Stir in the marshmallow creme, extracts, and food color until smooth and blended. Stir in the remaining zest until evenly distributed. If desired, sprinkle with pink and green sugar pearls. 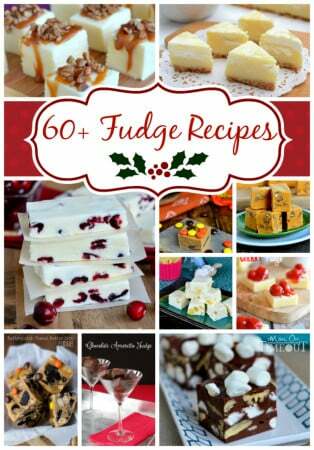 Need more fudge? Check out this roundup!